General membership allows access to the Shockwave Strength and Performance training facility to include free weights, cardio, and strength machines. This will also allow members to participate in all group fitness classes (Ex. Zumba, Mixxed Fit, Body Pump, etc.) and provide them with access to the turf and indoor track, upon availability. This does not include access to programs such as ROC Functional Fitness classes or Sports Performance Training. *For the first year of the membership. Personal training will provide you with your own personal certified trainer who will create and customize workout programs to meet your fitness needs and specific objectives. With personal training, your trainer will guide you through a tailored program guaranteeing the fastest and safest results possible to execute your goals. Also available is small group private training (up to 6 clients). This is great for small corporate wellness groups as well! Receive a customized program tailored to your group and achieve your fitness and performance goals while having fun with friends or co-workers. Also available is small group sport private training (up to 6 athletes). Receive a customized strength and conditioning program tailored to your group of athletes to improve sports performance. Build a strong foundation for your body through functional fitness. Functional training incorporates everyday movements and trains muscles to work together to improve speed, agility, range of motion, core strength, and flexibility. 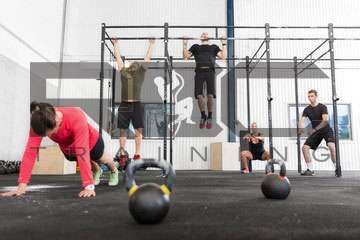 This class will also incorporate principles of obstacles course racing through the use of specialized obstacles and equipment not found in other functional training programs. This program also includes a General Membership ($65 value). *Discounts above are valid for the first 6 months of membership. The introductory discount is available until spots are filled. This program is broken down into a series of 3 progressive fundamental programs based on age and physical development. The youngest group will focus primarily on developing fundamental motor skills that are essential in physical literacy through the use of fun games and activities. 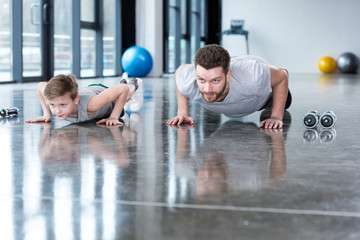 The advanced programs will incorporate similar fundamental movements as the adult functional fitness class but with a twist to create a fun filled environment to promote athleticism and physical fitness. This program, along with all our youth programs, will follow the National Strength and Conditioning Association’s (NSCA) Long Term Athletic Development Model (LTAD) to ensure that young athletes benefit from a lifetime of healthy physical activity.